Here is another smartphone controlled robot developed to keep kids and adults entertained. The Mech Cavalry Fighting Robots have self-balancing mechanism and combine with your smartphone to let you move and combat against your friends. Players can set sensitivity level before getting started. 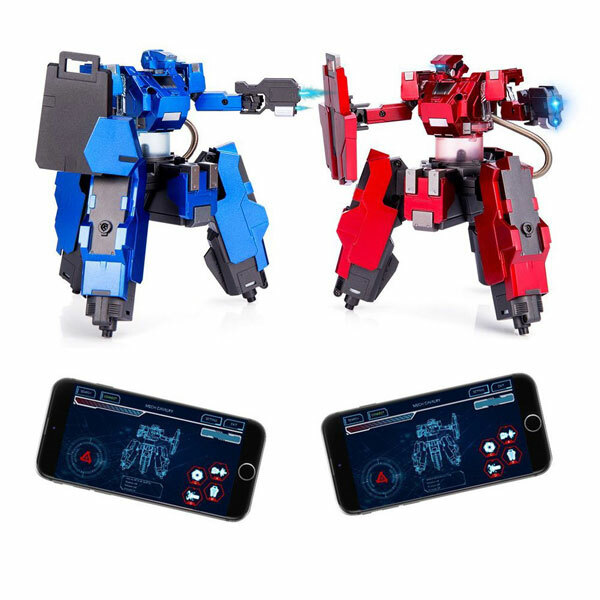 Mech Cavalry battlebots are compatible with iOS and Android devices. They come with a laser gun and reflective shield. 4 battle modes are available.